As President of USGE, I am very sad to announce that Brother Claude Duchesneau passed away this weekend. 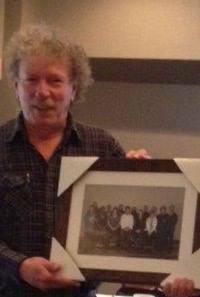 Claude was a tireless worker who dedicated much of his life to serving USGE and our members. He was a colleague, but more importantly, a friend. Claude will be very missed. We, at USGE, offer our sincere condolences to Claude’s family, colleagues and many many friends. Please see below for Brother Yvon Barrière’s tribute to Claude. I would like to formally pay tribute to Claude Duchesneau, proud representative of the union cause who died this past weekend. Claude was, without a doubt, dedicated to his union, offering over thirty years of his life to relentless activism. While he has now left us, he certainly affected us all through his profound words, his loyalty, his clear-cut ideas, and mostly, through his strength of character and convictions. Brother Duchesneau leaves us with a strong legacy of ideas and opinions which will continue to deepen the Union movement. My condolences to all those who knew him. Rest in peace, Claude. Magali Picard, Stan Stapleton, and I, wish to say goodbye and thank you.